Recommended by Sub Dave, one of my seemingly many ex-submariner friends, I picked this book up in my never-ending search for good military books. It does not disappoint. Blind Man's Bluff: The Untold Story of American Submarine Espionage is a collection of some of the USNavy's most daring reconnaissance missions using specially modified submarines during the Cold War. From the first Captain to follow a new Soviet missile sub for 47 days (!) to the tapping of undersea telephone cables under 400 feet of water, the tales are riveting and surprising. There is a great deal of high-tech shenanigans here! A large, but very enjoyable read, I consumed this one quickly. Each episode is laid out well and neatly presented for a single sitting. The stories selected read like character driven novels and string together to form a intriguing look at the hidden side of submarine warfare during the Cold War. This has become a permanent part of my collection. Paul Tibbets died today at the age of 92. I would like to honor him for the outstanding way he stood up to critics for what was, to him, and truly was, just another mission. Thank you, General Tibbets. You were, and will always be, an American Hero of the greatest sort. You stood tall, did your duty, and honored our country with dignity. Today is Memorial Day. Today is the most important holiday, we, as Americans, celebrate. Today is the day we should remember the sacrifice of so many that make so many things possible. Even the ingrates that protest against the military should recognize that they would not even have that ability if not for the men who have died to make it possible. So fly your flag high today, remember the brave servicemen who gave up everything so that we might, and see today as much more than a day off from work. Now here's a holiday I can appreciate. Armed Forces Day is celebrated on the 3rd Saturday of May to honor all those in our military. And you know what? THEY DESERVE IT! So why is this 60 year old holiday almost completely obscured, but we all get pounded by "Administrative Assistants" Day? Shows a profound disconnect in American priorities. So, Happy Armed Forces Day! I personally thank all of you in the service of our country. I couldn't do it, so am doubly grateful that you do! Stop by, the first round's on me. I was watching an interesting show this evening about geopolitics in the early '90s. They mentioned, admittedly in passing, the collapse of the Soviet Union as an economic and human rights victory. I got me thinking. I was in my twenties then and remember the state of the world as we were led to believe it, and I don't really think that was completely accurate. You see, in the '80s, we were scared of the Red Menace. Reagan was elected much because of his stance against the "Evil Empire". We were in an arms race that looked like there was no end, not that it didn't give us some nice things like computers, cell phones, medicines, etc. We were told that the Soviets were essentially ahead of us on all fronts. And don't forget, it was less than 20 years since a humiliating defeat in Southeast Asia, Viet Nam specifically. Then some dipshit dictator in the Middle East decided he needed even more oil. Iraq invaded Kuwait in 1990. The US and UN went into diplomatic overdrive for several months to no avail. President George Bush gave Hussein an ultimatum to get out of the Kuwait, and the whole world laughed. At home, everybody was afraid of Viet Nam II. Even my mom was afraid that I was going to get drafted, which was naive since I was in college and working a DOD contract. In January 1991, true to his word, Bush let Iraq have it. 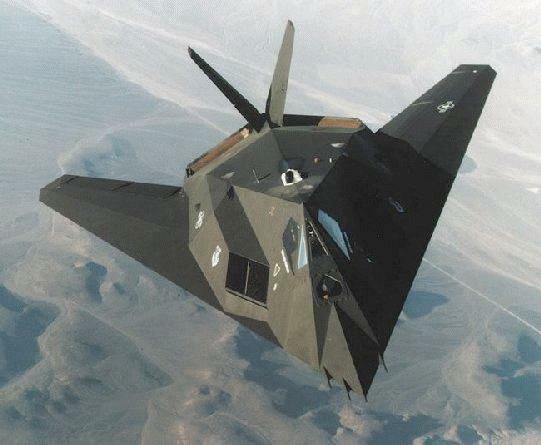 The first was the F-117 Stealth Fighter. We kept it a secret for over 10 years and it was more effective than anyone predicted in the Gulf War. 1200 sorties with 0 losses. It rendered the entire Soviet Defense Network obsolete overnight. That was going to be very expensive system for them to upgrade or replace in order to counter the Wobbly Goblin. The second was the F-15 Eagle. It made it's mark in the Israeli Air Force as the only air combat aircraft to never sustain a loss. I believe it still holds that distinction. And the E model proved to be an incredibly effective ground attack bomber during the Gulf War. The Soviets had just spent an incredible amount of effort and cost in developing what was considered in 1991 to be the 2 best combat fighters ever, the MiG-29 Fulcrum and Su27 Flanker. 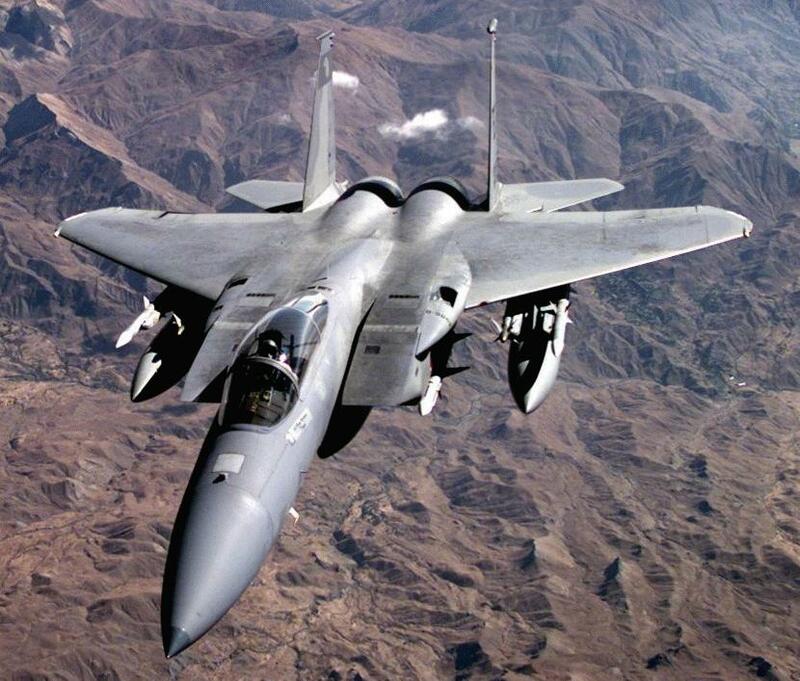 Granted Iraqi pilots are inferior to super-power pilots, but the F-15s made short work of them. And the Soviets had nothing in the works. Quick build a newer, better plane fast! The Gulf War really rocked the Soviet Union. We fought that conflict as hard as we did for that very reason. But then the first B-2 Spirit Stealth Bomber was delivered to the USAF in 1993 and very public demonstrated to be even more effective than the F-117. In my opinion, that's when the Politburo finally gave up. They had spent themselves into a really bad situation, tried to fix that by invading Afghanistan in the '80s unsuccessfully, and then we go and completely decimate the world's 4th largest army in a matter of weeks. On top of that, we had an enormous economic and technical boom on our hands because of it. They were left with no choice, their people seized the opportunity and the USSR is a historical failure. Are 3 planes the only reasons for the collapse of the USSR? No, of course not. Without the incredible American Naval Forces, the success of the M1A1 and M2A1, among other systems, all the air power in the world is useless. And the technology and market forces during that time, much of which was directly related to military spending, played an enormous role. But the Red Army was the primary focus of Soviet spending at the end of the Cold War. The Gulf War and the deployment of the B-2 bomber proved that their economic gamble was a bust. Thanks to FAS.org for the awesome images. Visit them for more information on all US Weapon Systems and other very interesting geopolitics.